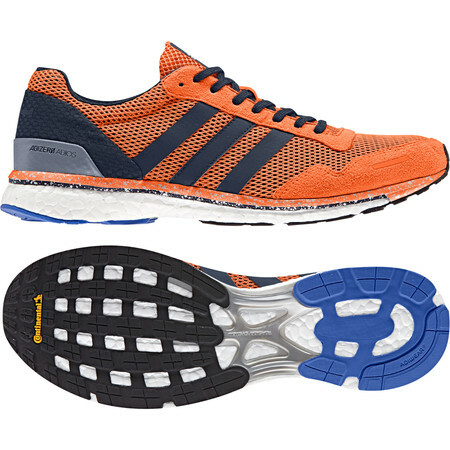 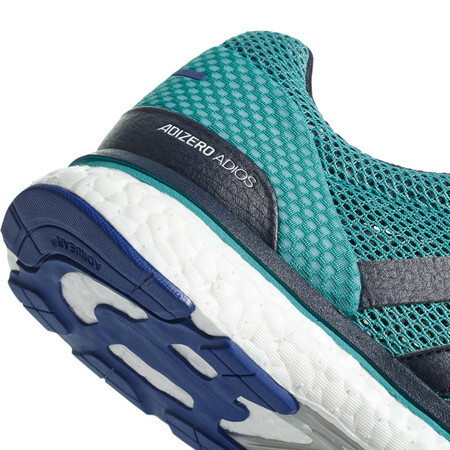 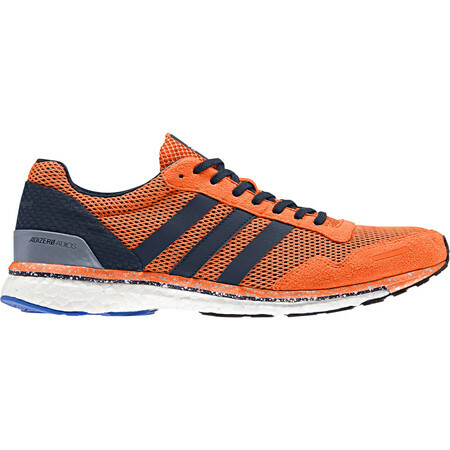 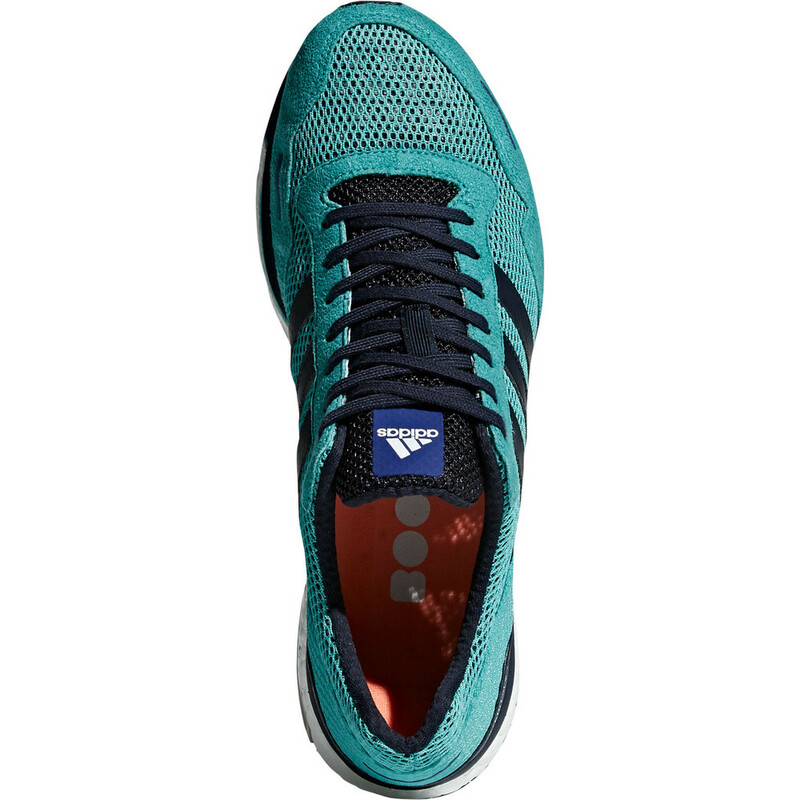 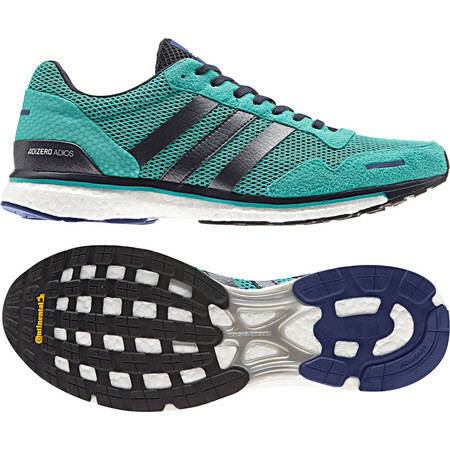 Marathon-winning Adizero Adios is Adidas’ maximum cushioned road racing flat for the neutral runner. Purpose built to propel you to the finish line as fast as possible, the Adios provides a precise fit for both racing and short quick training runs. An 80% Boost midsole offers bouncy cushioning with great energy return which keeps its springback properties even in very hot or cold temperatures. 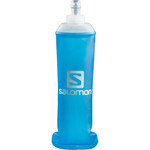 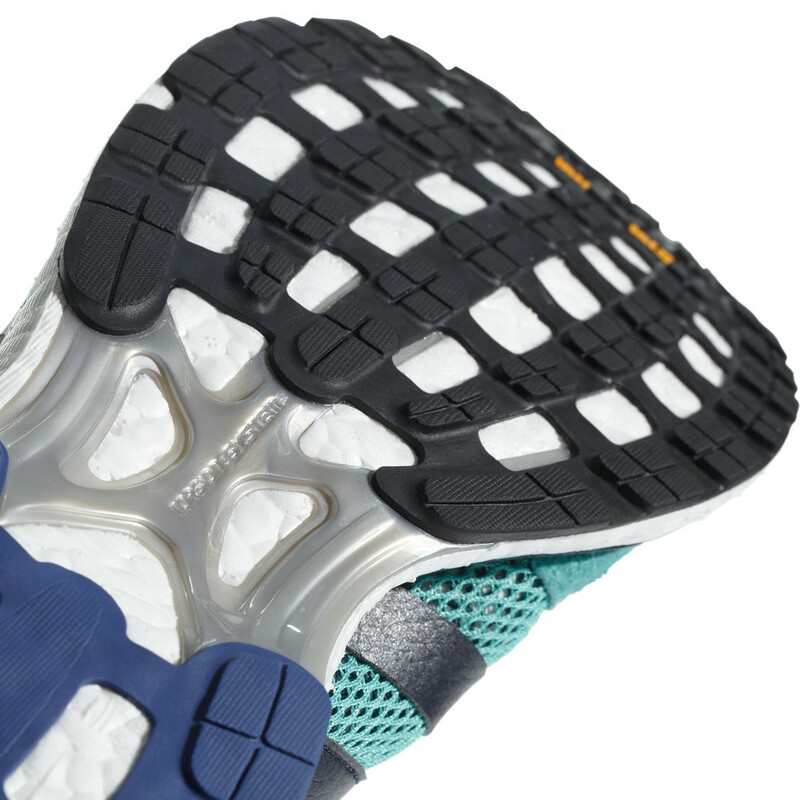 A midfoot torsion system creates maximum propulsion. A StretchWeb with Continental wet-grip rubber outsole gives maximum purchase on wet and dry pavements to prevent slipping and save those all-important seconds. 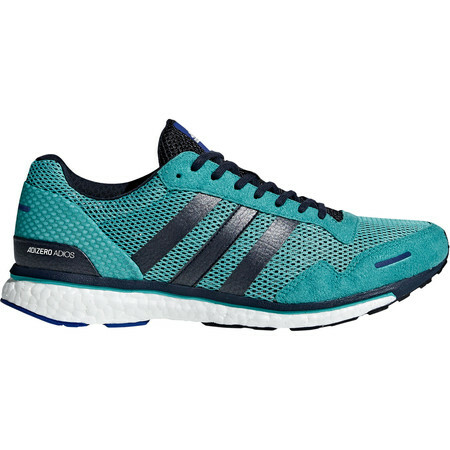 The outsole adapts to every runner’s foot strike by moving in harmony with Boost to provide a smoother and more flexible ride. 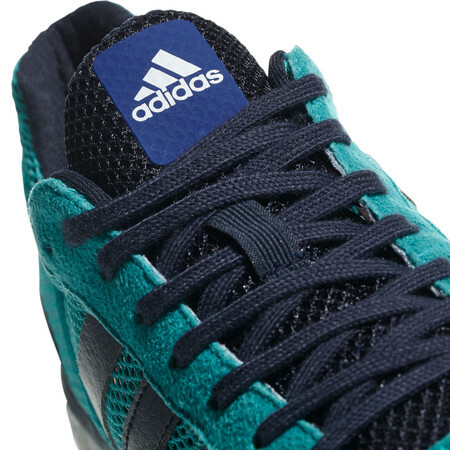 An open mesh upper with textile and synthetic overlays confers breathability and support. 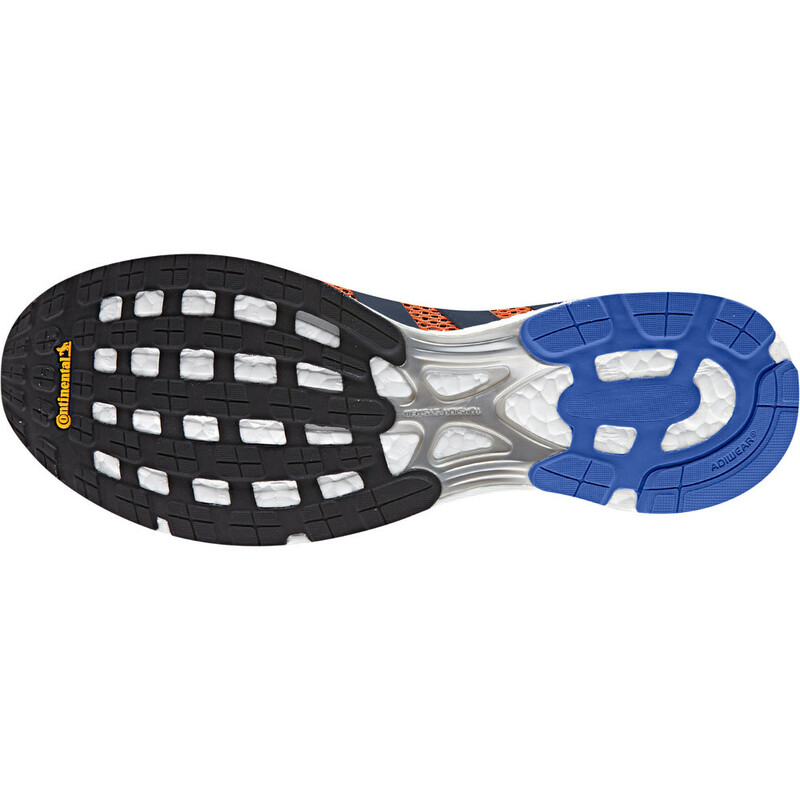 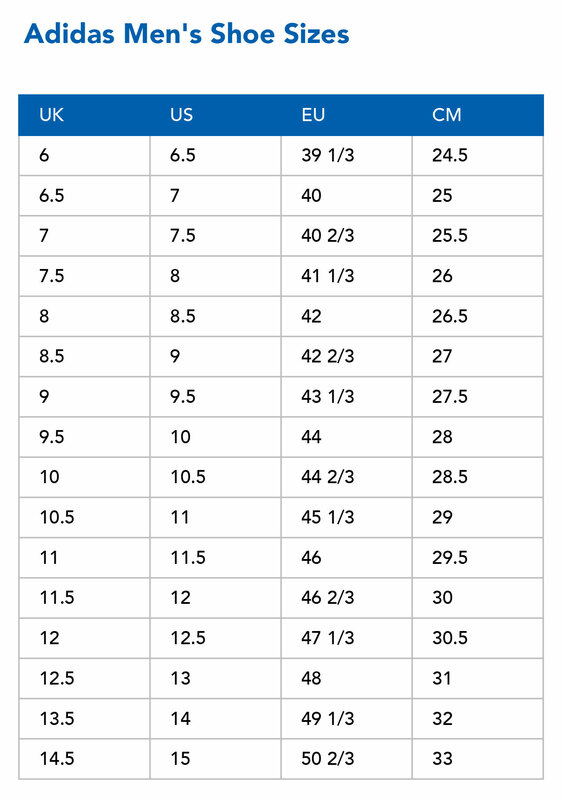 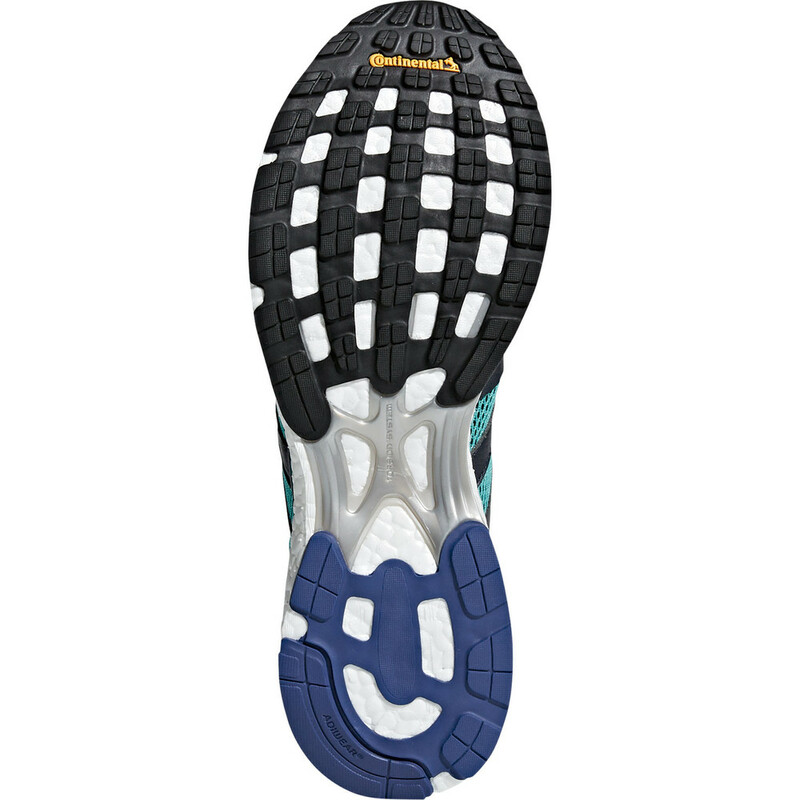 Microfit technology on the upper locks down the heel and midfoot for a secure and fast run. 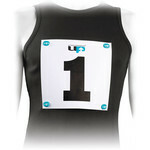 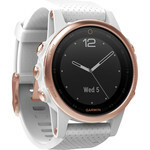 A fantastic speedy racer, especially good for fast training and longer distance racing where you might want a bit more cushioning.